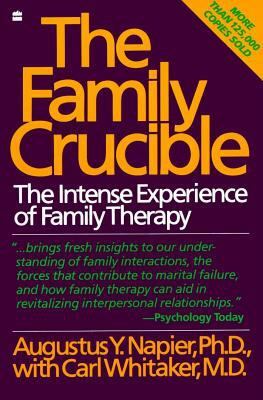 This extraordinary book presents scenarios of one family's therapy experience and explains what underlies each encounter. You will discover the general patterns that are common to all families-stress, polarization and escalation, scapegoating, triangulation, blaming, and the diffusion of identity--and you will gain a vivid understanding of the intriguing field of family therapy.Napier, Augustus Y. is the author of 'Family Crucible The Intense Experience of Family Therapy', published 1988 under ISBN 9780060914899 and ISBN 0060914890. Loading marketplace prices 1153 copies from $0.55 How does the rental process work?